It’s the season of hope and togetherness. So EUCG was delighted when, following our campaign alongside GRACQ, Fiestersbond and the Association of Parents of Traffic Victims against speeding in Brussels, Studio Brussels and MNM announced that they would no longer announce speed checks submitted by listeners. We will now have a discussion with the police whether they can change the way they announce speed controls and raise awareness about the dangers of speeding in a different way. In the new year we’ll be meeting with Pascal Smet, Minister at the Brussels region responsible for mobility and transport, to identify priority issues for us. We’ll meet with the Commission infrastructure branch to encourage the provision of more (and better) bicycle parking where needed. From the depths of midwinter, we would like to encourage you all to stay visible on your bicycles. Please make sure your lights work. And if you want to be stylish as well as visible, why not get yourself one of our fluorescent cycling vests – drop us a line at if you want one. 2014 was an eventful year for cycling in Brussels, but next year will be even more thrilling. Thank you for your support. 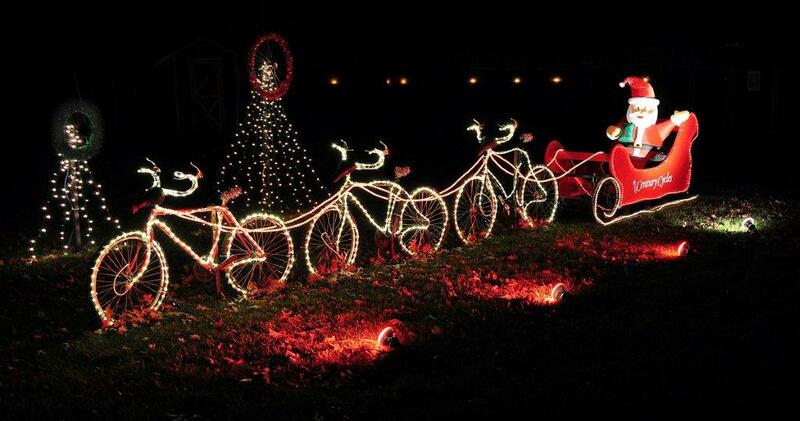 From all on the EUCG Committee, a very merry Christmas and a healthy two-wheeled new year to you all.